On Monday, April 12, 2004, just before 4 PM, the Delhi Township Fire Department was dispatched to a grass fire at 1470 Harper Rd in neighboring Alaiedon Township. Arriving to find an advancing fire in tall, dry grass, command requested mutual aid for a grass rig from the Mason Fire Department. 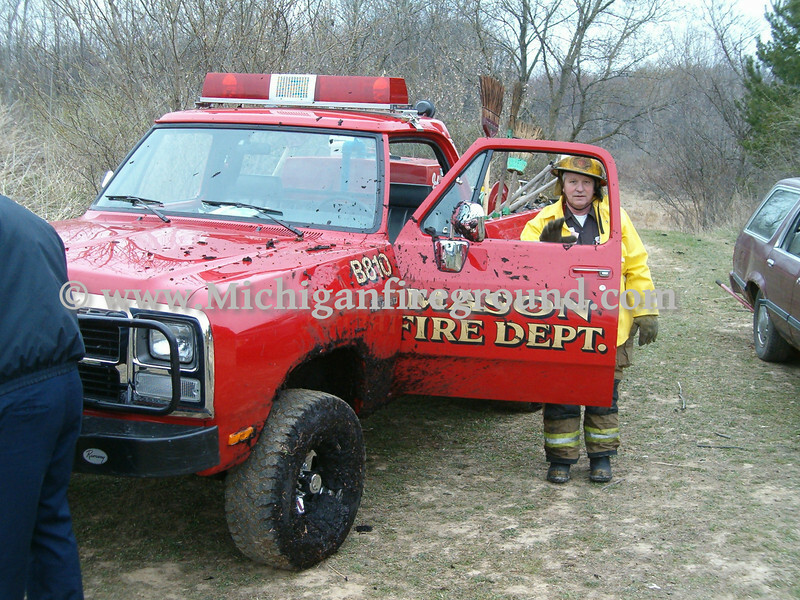 Two grass trucks quickly became stuck in the wet ground and firefighting efforts had to continue on foot. After extinguishing the fire, personnel were then able to free the vehicles without further assistance.